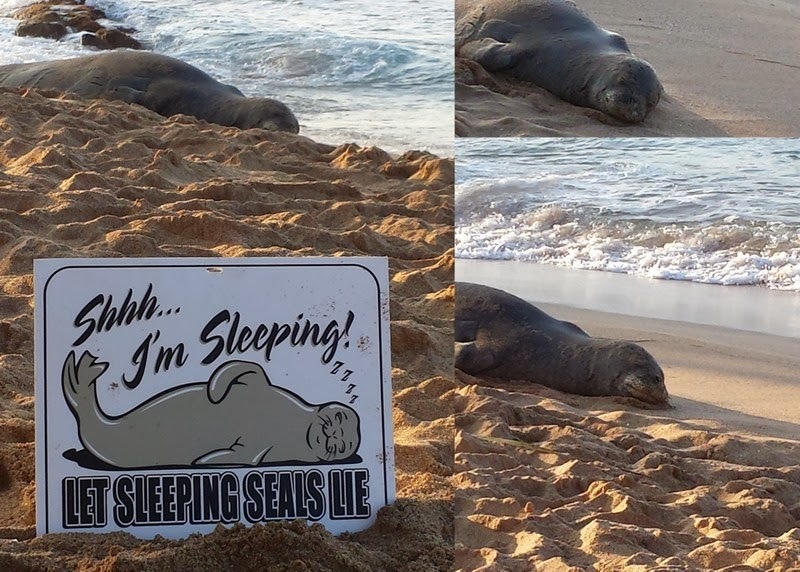 Traveler For Good: I Saw a Hawaiian Monk Seal! Last week there was an article on Huffpost Hawaii with this header "Rare Monk Seal is Born on Hawaii Beach, Entire State Dies From Cuteness." The pictures are beautiful and the "AWWWW" echoed throughout our office. The article said that baby monk seals seek affection and hugs....even from people. On Saturday night, I walked down to Napili Bay to catch the sunset and instead I saw a roped off area. What was in that area? A Hawaiian Monk Seal! On a serious note, the Hawaiian monk seal is endangered. According to the Monk Seal Foundation, there are fewer than 1,100 seals remaining. There are hotlines on each of the islands to report seal sightings. 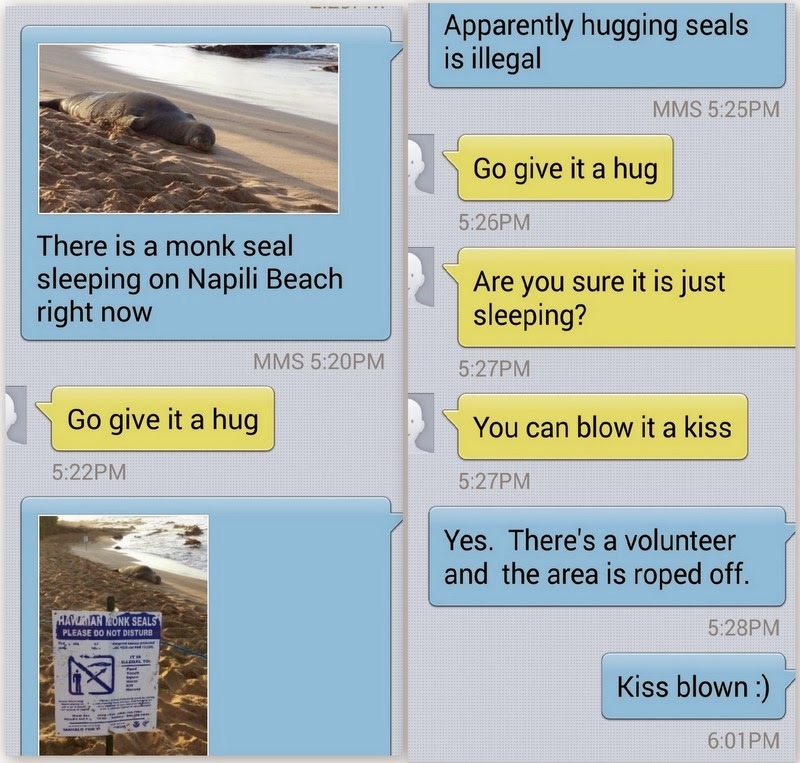 Volunteers had roped off the section of the beach where this seal was resting and provided information about the seals and their fight for survival.